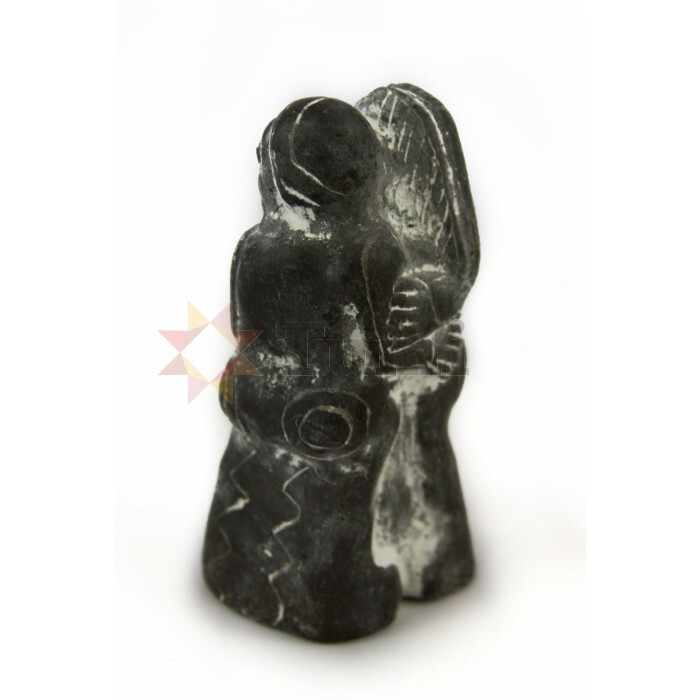 Embracing figure hand made in Bolivia, a lovely gift for Valentines Day. 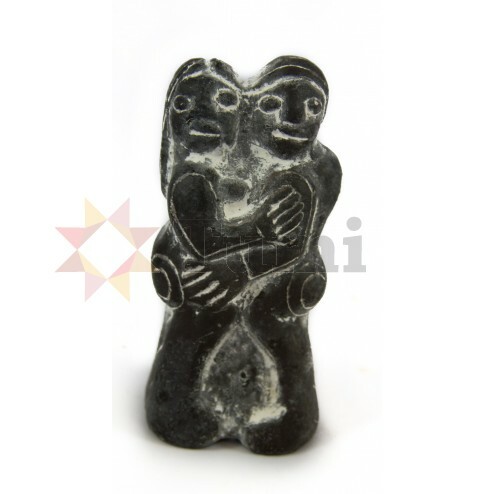 This unusual embracing figure is inspired from Tiwanaku[comma] on the Bolivian side of Lake Titicaca[comma] home to the Aymara culture. The original figures were found in the ruins of this important historic site. They are associated with weddings[comma] love[comma] harmony and becoming as one force and consequently make an unusual but beautiful Valentines gift. This piece is ceramic and made in such a way as to look old; It stands approximately 11cm high.